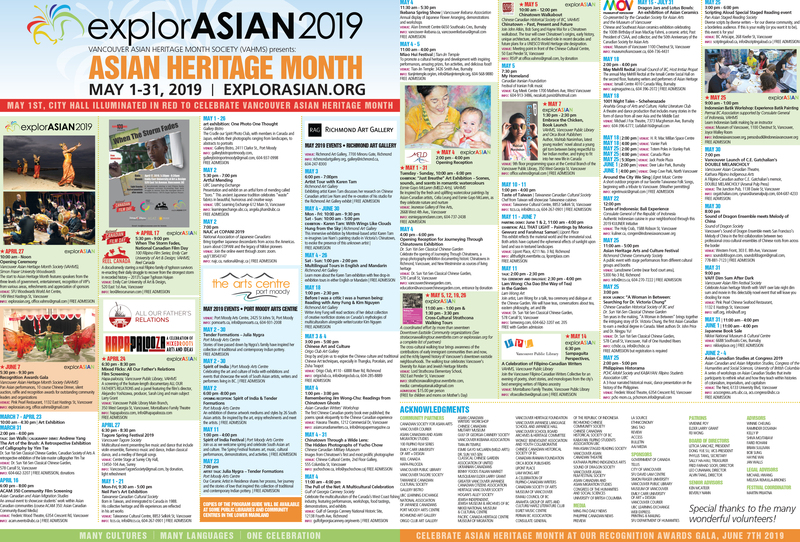 The Official Opening Ceremony of Asian Heritage Month and explorASIAN 2017 is taking place on Saturday, April 22nd at 10:00am at the Fei & Milton Wong Experimental Theatre – Goldcorp Centre for the Arts at Simon Fraser University (149 West Hastings Street, Vancouver). We hope you will come out to celebrate explorASIAN 2017! May is Asian Heritage Month!